Maria Louisa has spent the last thirty years involved with bookkeeping and financial accounting. She has provided services to a variety of businesses. She started her professional career with Texas Department of Human Resources. She served in a number of write up positions to a variety of businesses before starting her own business in 1983. She served as a consultant to a variety of businesses during this tenure before becoming a para-professional and write up consultant for Hector E. Garcia, CPA. 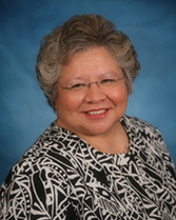 Maria Louisa is a native of San Antonio and has attended the University of Texas at San Antonio and San Antonio College.